Please accept my letter and CV as an application for a suitable opportunity. I believe that I will be able to provide a valuable contribution to your company. I desire to upgrade my knowledge in serving good quality and high standard of service, it is an opportunity for me I get to work in a company such as yours. I would appreciate your consideration for the position being applied. Enclosed is my comprehensive curriculum vitae for your perusal to which outlining my work experiences. It would be great if I could have the opportunity to look for an interview to discuss how my skills and your requirements correspond. 1-year experience as SITE ENGINEER (in ELV & TELECOM department) in QATAR METRO PROJECT (REDLINE SOUTH UNDERGROUND) at OQBA STATION. Managing station for all type of installation(as per GENERIC INSTALLATION) under scope CCTV, IP TELEPHONE, ACCESS POINT, EMERGENCY CALLING SYSTEM, Public Address System (PAS), ACCESS CONTROL SYSTEM (ACS), TELECOM CABINETS (RACK), Inter-Station and Intra station Fiber cable pulling (splicing, OTDR testing, post-testing) and secondary containment installation, cable pulling, Device Installation and supporting Testing and commissioning team. •	Managing site with an average strength of 5 supervisors, 10 foreman and more than 100 technicians. •	Site coordination meeting/site walk with civil, architectural and MEP contractor’s for work efficient environment. •	Time basis and target achieving installation as per client requirements. •	Proper report making (daily activity, accomplishment, target, material details) for reporting to the upper level and internal analytics. 3 year-experience as ELV Engineer at Al Sulaiman Security Systems and part of company’s one of the project AL-RABBAN SUITES, an executive high rise (46 floor+M+G+3B) tower building in West Bay, Doha. •	Handling Installation, Configuration, Testing, Commissioning of ELV systems: •	Addressable Fire Alarm System •	IP CCTV System •	IP TV and IP Telephone •	Access control System •	Building Management System •	Public Address System •	Lighting Control System •	Installation, troubleshooting of Fire Alarm system and installed more than 5000 fire alarm devices and emergency evacuation speakers. •	Supervising sub-contractors/technicians for cable implementation and installation of all type ELV system devices. •	Analysing and verify drawing and making changes based on the client’s functional requirements. •	Maintenance of Fire Alarm and CCTV at Al Sulaiman Jewellers and La Villa Hotel, Doha. •	Monitoring the work progress as per the project schedule. 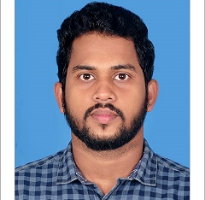 •	Worked as an Apprentice trainee under the leadership of Assistant Engineer, KSEB, Aroor. •	Studied and analysed different operations in the control room and yards such as panel and feeders. •	Managing isolation of feeders from the live line of electricity. •	Responsible for conducting shut down operations. •	Maintenance of current transformers, potential transformers and switch gears. •	Conducting Relay test and Power Equipment Test (PET). •	Given prime importance for safety and quality of the work. Operation and Maintenance of Diesel Generator (750kva) and all other work related to Electrical with the cooperation of colleagues and seniors at Vodafone, Ernakulam North. •	Daily checking of DG for air filter indicator, lubricant level, fuel valve checking, battery connection and fuel level. •	UPS (400kva) monitoring and maintenance. •	Making daily progress report for all the work conducting on the site. •	Assist the work for cable laying and glanding of electrical cable. Send a message to Binu K B.